Work Experience is a key component of our curriculum at Kensington Aldridge Academy. Our goal is that as many of our students as possible obtain work experience placements which will help them to develop a more realistic view of adult working life and its responsibilities. In researching and seeking out a placement for themselves, we aim to enhance their maturity, communication and levels of independence, better enabling them to seek further study or employment upon leaving KAA. We are always looking for new community partners. If you might be interested, please get in touch with Olivia Symington, our Careers Coordinator, to discuss ideas by emailing o.symington@kaa.org.uk. All Year 12 students are encouraged to find a work experience placement for the last week of the summer term, which falls from Monday 15th July – Friday 19th July this year. KAA works with ‘Access Aspiration’ to offer networking events with a range of professionals and high quality work placements. Work experience opportunities and summer schools are also advertised throughout the year by our Careers Coordinator, Olivia Symington. She is available to assist students in making speculative applications and preparing for interviews. 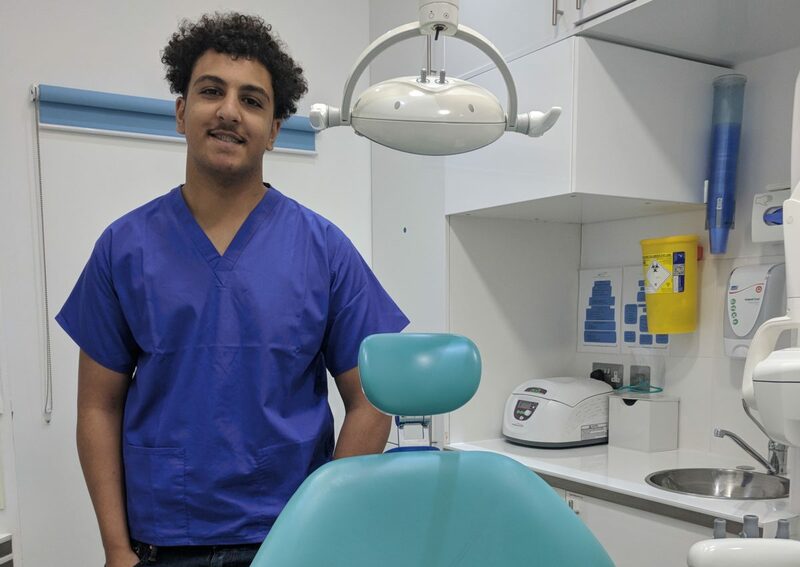 Over the past two years students have gained placements with employers such as: Chelsea and Westminster Hospital, Snupps, QPR, Guys and St Thomas Hospital. Students also benefit from our sixth form lecture series, aimed at broadening students’ horizons and providing an insight into the world of work. Last year, our speakers included: Baroness Shami Chakrabarti, shadow Attorney General and former director of Liberty; Sadiq Khan, Mayor of London; Adolfo Perez Esquivel, Nobel Peace Prize winner; and subject-specific speakers from Oxford, Cambridge, KCL, UCL and Imperial. Students in Years 10-13 are free to organise their own ongoing work experience placements which may take place in the holidays throughout the year, though we would encourage students in years 11 and 13 to leave the Easter holidays free for revision. In additional to the traditional work experience placement offered at the end of the year, we encourage our students to take up a range of opportunities offered to them throughout the year. We have included a selection of these below. In September each year, we take the whole of Year 12 to Oxford for a residential trip. This year, we stayed at Lady Margaret Hall College. 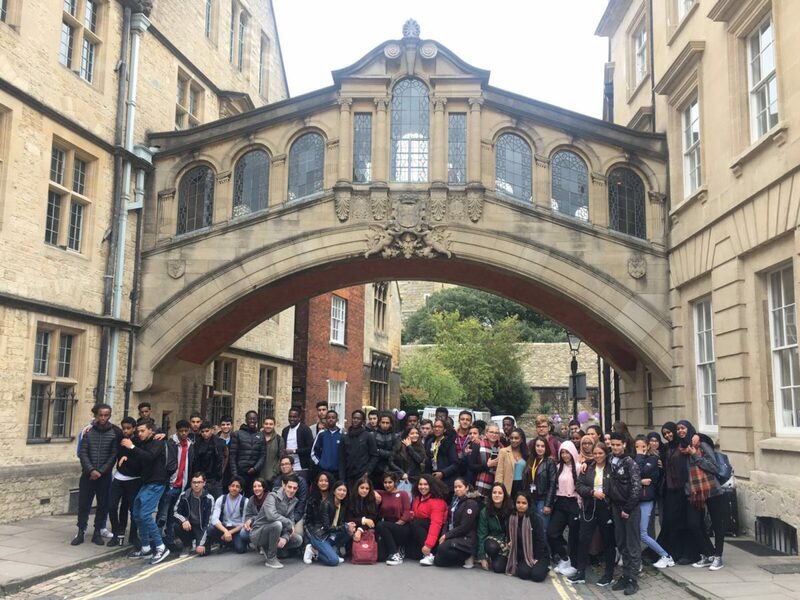 Over the course of the long weekend, students had a series of A level subject lessons, several of which had links to Oxford and their surroundings. 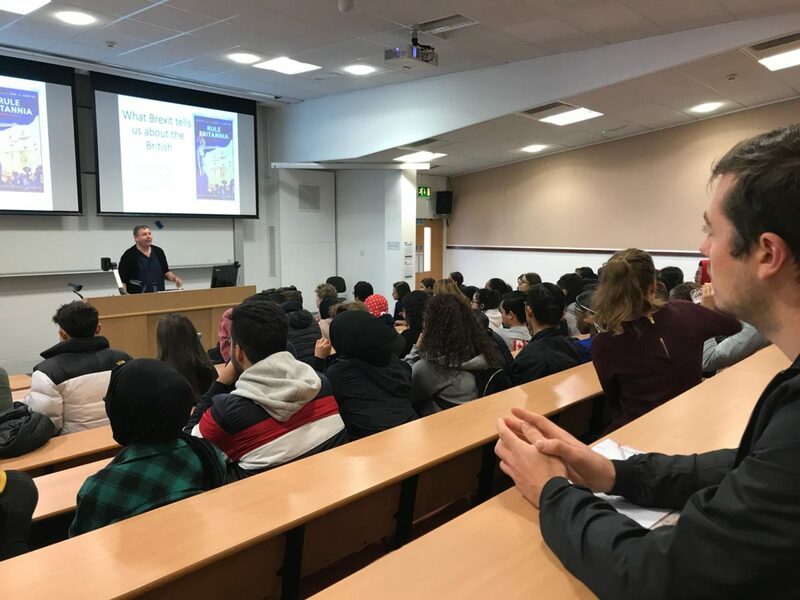 Alongside these, the students took part in several “study skills” sessions, an admissions “myth-busting” talk from one of the Senior Admissions Tutors, and listened to a lecture from the esteemed Professor Dorling, from the School of Geography and the Environment, entitled ‘What does Brexit tell us about the British?’. The event started at 7.30am and lasted until 6pm. It was held at The Walt Disney Company in Hammersmith. At the start of the day, everyone was given a copy of the book “Feminists Don’t Wear Pink (and other lies)”, and the curator, Scarlett Curtis, was there to give a brief talk. The book is a collection of stories from a number of women to show that that feminism is not the same for everyone, and it aims to dispel common preconceptions. Throughout the day, there were inspirational talks from a huge number of influential women, including: Rebecca Campbell, President of The Walt Disney Company; Charlie Webster, Broadcaster and Activist; Lisa Meng, Director of Corporate Social Responsibility at Oath; Claire Barnett, Executive Director of UN Women UK; and Farah Mohamed, CEO of Malala Fund. Rebecca Campbell spoke about how important it is to recognise different backgrounds, ideas, and genders in the workplace. Charlie Webster spoke about how easy it is to be undermined by society, and how important it is to value yourself. Interspersed with the talks were workshops on a variety of topics including: “You Can Do It! Self-Care & Self-Esteem for Female Leaders”, which focused on how being a strong female leader and activist can take a toll on your wellbeing if you don’t learn tangible skills for how to cope; “STEMinists in Action”, which aimed to inspire the audience by input from leading scientists, whilst honing their own skills as a STEMinist; and “I Am the Author of My Story”, which touched on the healing power of telling your story. In October, we took all Year 12 students to a university/apprenticeship fair. Each student attended at least one of the seminars and visited a variety of the stands that were represented. Yasmin went to the SOAS stall and said that “it was useful as I had never heard of the courses they had to offer, such as anthropology”. Sakareya visited the STEM subjects stand, which “revealed extra information about the subjects and the endless jobs associated with this subjects”. Several of the students attended a seminar on university “myth-busting”, including information on what financial help might be available for everyone, and also to students at different universities. 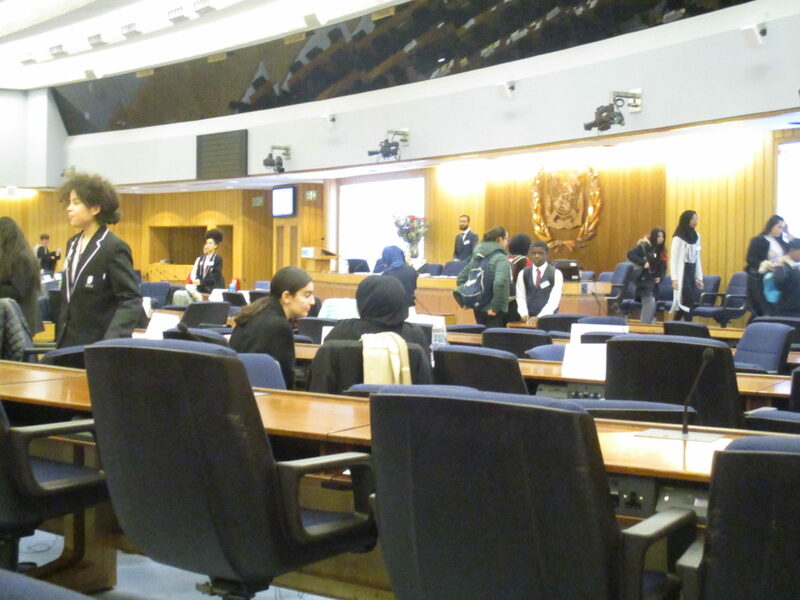 By role-playing meetings like the Security Council and General Assembly, the students got a unique insight into how the United Nations works. They researched their countries, debated a variety of issues, and tried to solve some of the world’s most pressing problems just like the real thing. Students at KAA took part in several committees, including: SOCHUM, UNHCR, UNHRC, UNICEF, and UNWOMEN. After the roll call, each committee moved between Speakers’ List, Moderated Caucus and Unmoderated Caucus until their Draft Resolutions were completed, merged, and ready to be presented. At the end of the two days, there were several draft resolutions on the floor, enabling a delegate to make a motion to proceed into voting procedure by moving for the closure of debate. The Access Project is an innovative education charity that helps bright young people from disadvantaged backgrounds gain places at top universities. At Kensington Aldridge Academy, 40 students across years 10, 11, 12 and 13 are currently taking part in the project, which includes admissions test support, work experience, workshops, trips and networking alongside regular mentoring from an academic tutor in a subject of their choice. In February, the Year 10 students will be going on a trip to the University of Cambridge, and the Year 11 students to Queen Mary University of London. Alongside the programme, students also apply for the societies (in medicine, law, dentistry, and Oxbridge), which provide support and advice for those wishing to apply for these competitive pathways. K+ is a two-year programme of events, activities and academic workshops which help students with their university applications and provide the skills they need to reach their potential as an undergraduate student. Students who successfully complete the programme receive a reduced offer to study at King’s College London worth up to two A-level grades lower than the standard offer (excluding medicine and dentistry). One of the highlights of the programme is a free, non-residential programme packed full of exciting activities like: academic tutorials with a King’s PhD tutor; information sessions on university applications, personal statements, and student finance; tours and study time in the King’s libraries; group challenges and competitions; and fun social activities. The employers below are among those that assisted our students by giving them a placement in our first ever work experience programme in October 2018. We thank them all for their support!